Fishing, Indoor/Outdoor Gardening, Canning, Pickling. Chili... Beans or No Beans? Cold Pack Pickles *Can be stored up to 2 yrs. I have been using this Recipe since 1988 exclusively. Fresh dill fronds (optional) I no longer use the dill. COLD Filtered water to top off before sealing. Fresh picked Pickling Cucumbers, washed, rinsed and bottom flower tip trimmed off. 1.Gently wash fresh picked pickling cucumbers, set aside. 2.Wash & Sterilize Wide mouth quart Mason/Canning jar. 3. Combine, Salt, Garlic, Pickling spice, dried peppers, pickle crisp into bottom of jar. 4.Pack jars firmly with washed cukes...do not smash cukes, vary sizes as needed to fill jar. DO NOT USE SOFT CUKES. 5. Add sprig of dill, and vinegar. 6. Fill remaining space in jar to within 1/8" of top with filtered water. Seal with heated lid and place tightening band on hand tight and snug. do not over tighten. Shake jar vigorously and store upside down for 24hrs. Check jars daily and invert daily for 10 days. Bottom one day, top the next. After 10 days store in cool dark place...pickles will be ready in 6-8 weeks. These make a very crisp, slightly spicy pickle. Pepperoncini thin walled great pickled, and if you let them turn fully red a great pepper with mild heat for powders. 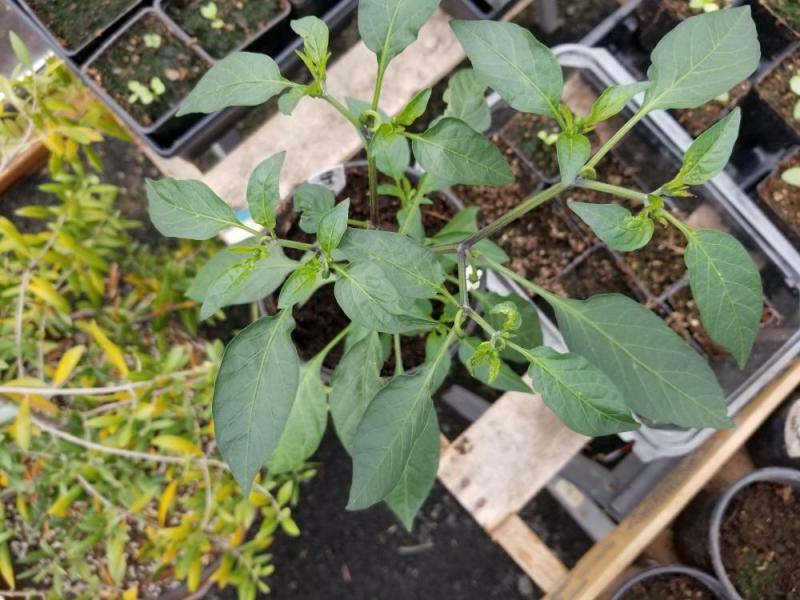 I see a few peppers buds where flowers used to be or just under the browning blossom. Everything looks pretty good from what I can see. To early to be concentrating on specific feeding nutes like phosphorus imo. Woohoo!!!! I've been served AGAIN!! PPATB, Thanks Reggie, much appreciated. 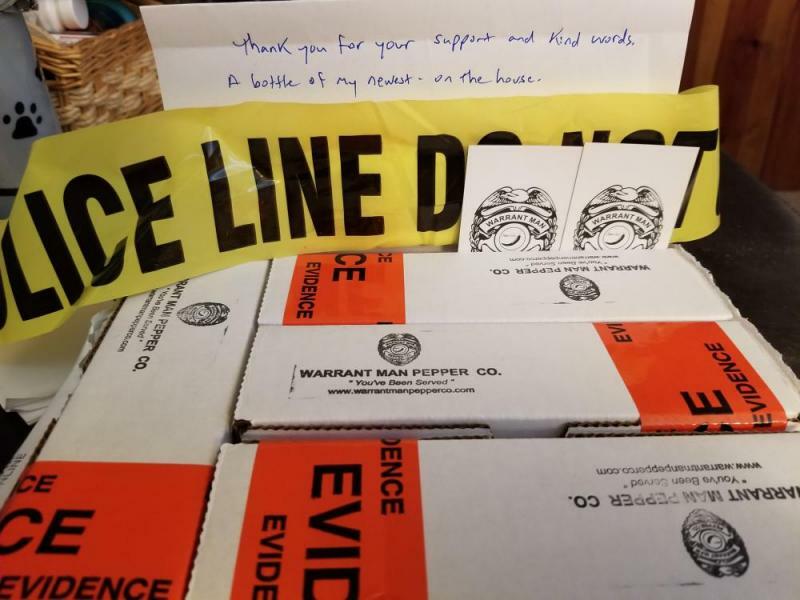 Half the anticipation and excitement getting a package from WarrantMan is the packaging. 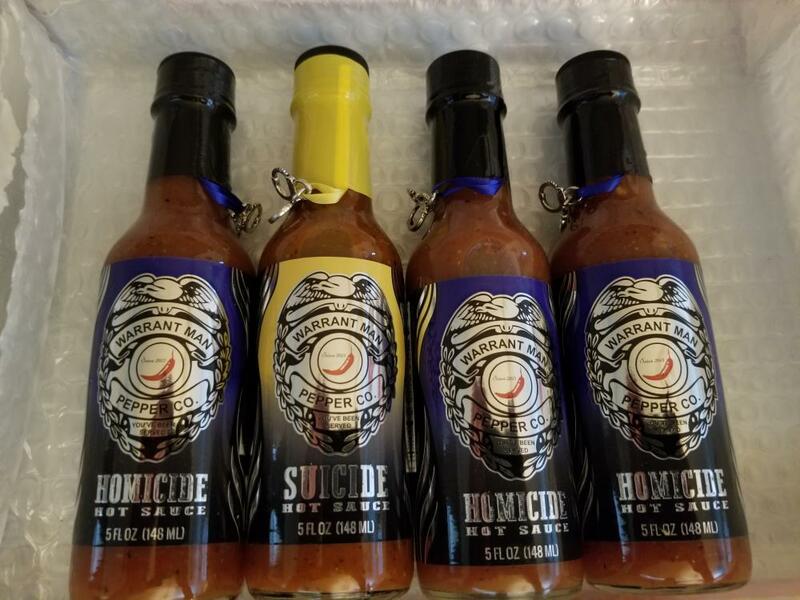 Just opened my order to find a gift bottle included of his newest sauce. 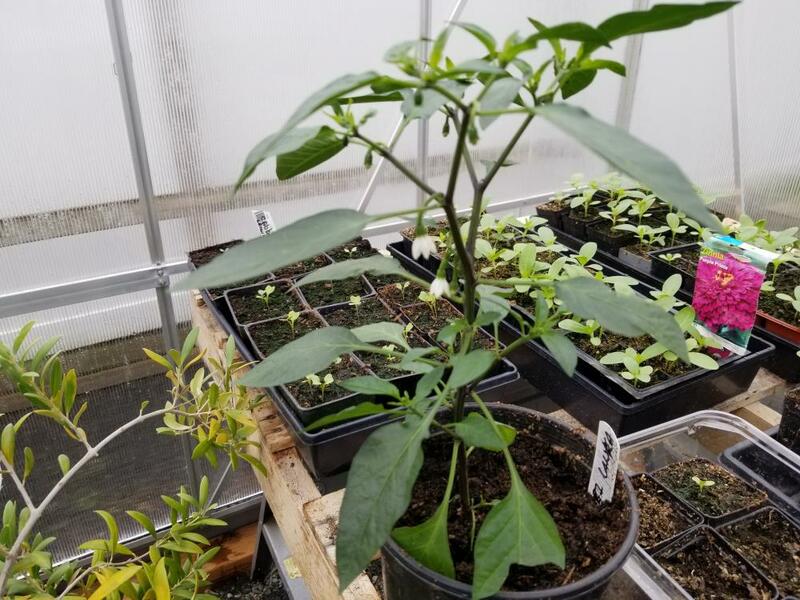 #1626709 Growdown Throwdown 2019 Sri Lanka - Chilli Red! Nice healthy stocky plant paul. #1626313 stupid question, when to use small greenhouse outside? Our temps our low 30s to mid 40s at night and 40s to mid 50s during the day last 30 days. We have had hail and rain storms for weeks it seems. 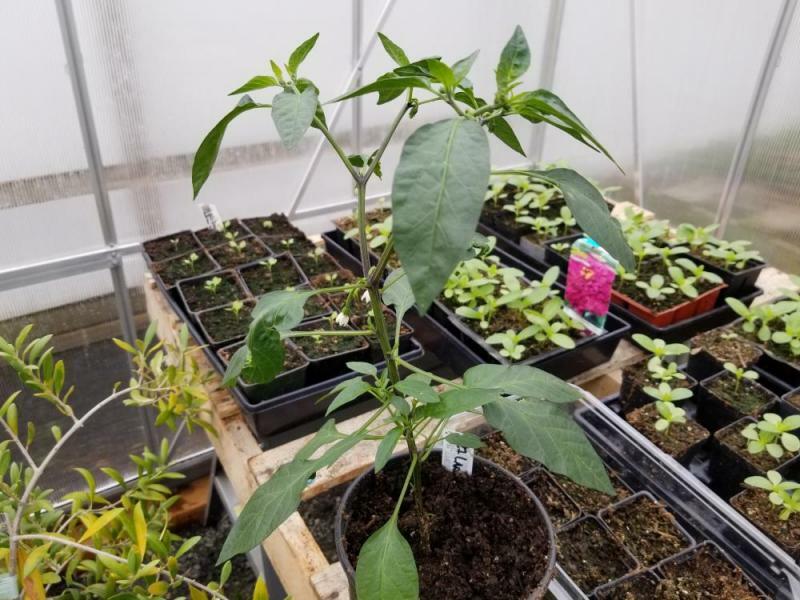 My green house is loaded with veg starts and a few of my pepper plants. I put an oil filled radiator heater in it last week to give it a little help. Keeps days at 66ish and nights about 60. #1626062 Growdown Throwdown 2019 Sri Lanka - Chilli Red! To many work hrs have me behind the 8ball. I did up pot into gallons yesterday and put them into the green house. Had to add a heater because we are getting pounded by rain and low temps for a few weeks now. 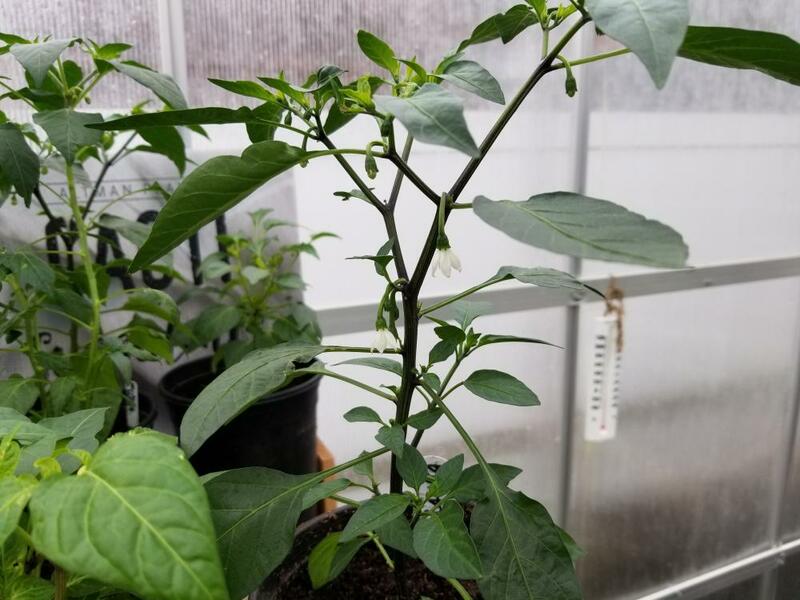 I pulled about 30 flowers from my two, a few pods already setting. They wont go in the ground until May though. Cold temps will induce purple veining. Some plants once hardened off induce purplish as well. Your plants are really young for the most part. I think a lot of new growers get caught up with ph, and deficiency with nutes. 1/2 strength fish fertilizer and good soil goes along ways for good plant health. Looks delish, will have to try it sometime. I've been eating them smothered in chili crisp for several weeks now. Gotta get those omega 3s you know. I know the standard wait-time for ferments is 90 days before processing. I'll be moving soon, and would like to have my most recent batch processed before that. If I just let the ferment go through the "active" period, would there be anything wrong with that? I doubt there'd be any risk. Has anyone done a short-period ferment before? Lots of fermenters process at 30 days. Even 2 weeks once the main bubbling is over. Waiting longer just increases depths of flavors etc but no harm in a short ferment at all. Nothing special, just a lazy throw together after a 70hr work week. 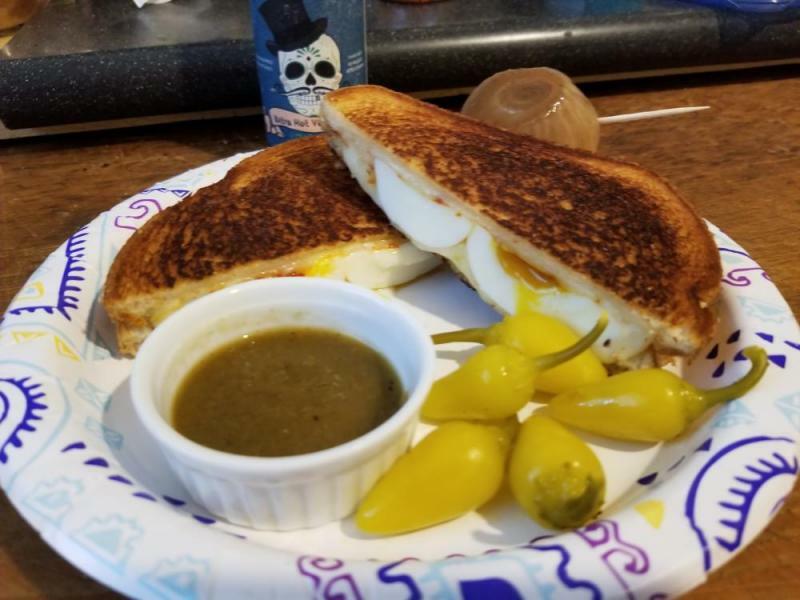 Toasted sourdough soft boiled egg and havarti cheese sandwich. Missed the open face shot of the soft boiled egg. Allepo powder inside, with D3 xtra hot verde sauce, chili peppers and a malt vinegar pickled onion. Looks great, I just planted 6 starts of cabbage to make a batch from the garden. Nice cut job on the julienned veggies. Quit feeding for 2-3 weeks. Make sure to not over water. Lime, chili, and mixed look like winners for me. What's the table with food samples? Good luck with your sauces. Looks pretty good. Best cooked bacon I've seen here in awhile, almost over cooked. 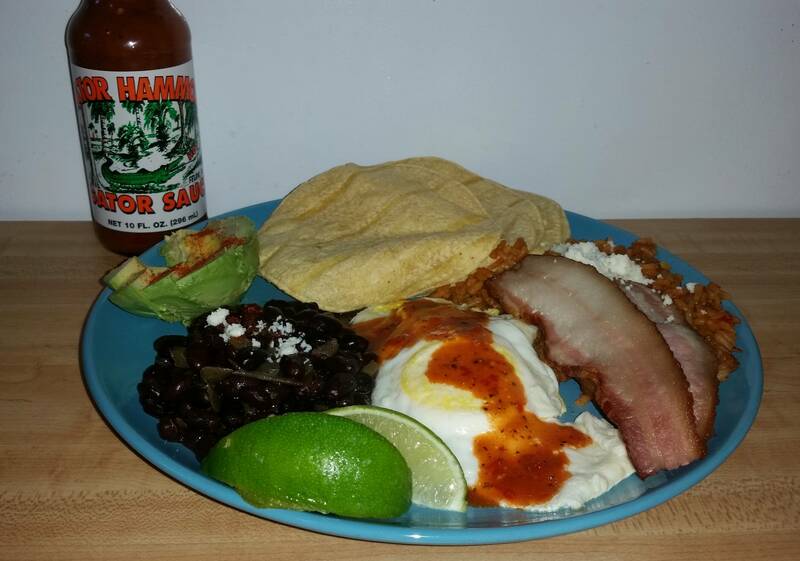 Great looking plate, Masher approved!!! !